In partnership with Habitat for Humanity Jacksonville, Inc. (HabiJax), EverBank and the Jacksonville Jaguars recently completed a home for a local family in New Town. This marks the fourth consecutive year the organizations have partnered for a HabiJax home build. Construction began March 20 and the home was completed in early May. Since 1995, EverBank has partnered with HabiJax on 70 houses, contributing more than 900 associate volunteer hours annually. EverBank associates, Jaguars players, coaches, staff and members of The ROAR Cheerleaders contributed their time throughout the building process. 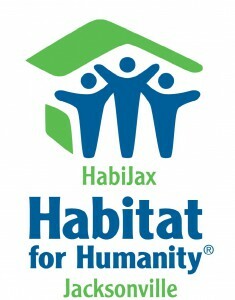 For information on how individuals and organizations can become involved with future HabiJax home builds, to learn about the HabiJax mission, to apply for homeownership and more, visit www.HabiJax.org.